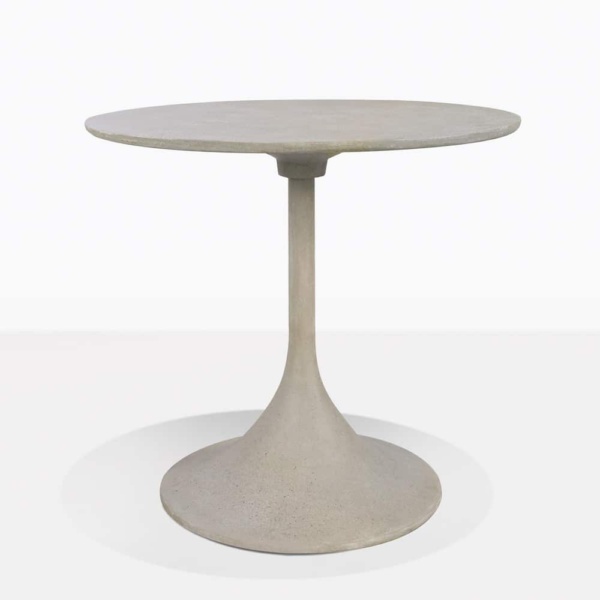 Allow yourself to revel in contemporary, arty and chic style with our elegant Orgain Bistro Dining Table shown here in dashing grey. The Orgain Bistro Outdoor Dining Table is a stunning collaboration of vintage look with chic, modern materials. Enjoy the beautiful curves and lines of this 2-seater bistro table made from urban concrete and steel and get ready for it to make a statement in your space. This elegant style is the collision of classic and contemporary looks! 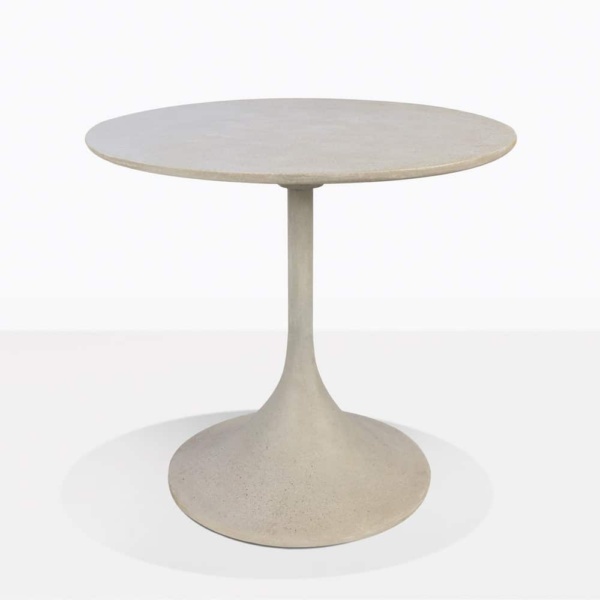 The Orgain Dining Table features a gorgeous round table top, held up by a unique, flared base that opens up into a fabulous, flat rounded base. You’ll be delighted by the nod to art deco style, with the state of the art materials. Whether you situate this incredible piece inside or out, the Orgain Bistro Dining Table will make an exceptional addition to your outdoor area. Organise your lush, green courtyard around this exquisite piece of furniture. Put the Orgain Table in grey in the centre of the space, with two chic, fresh chairs made out of wicker, or steel, for a crisp, urban vibe…. Put out the bacon and eggs, hot plunger of coffee and get ready to enjoy an intimate brunch in style. If you’ve a smaller space, such as an apartment or office space, that needs a possie to have a break from the fast paced world, situate your Orgain Bistro Table where you want to create a haven of calm, chic serenity, framed by a couple of comfortable, simple chairs and be delighted by the simple, elegant look. 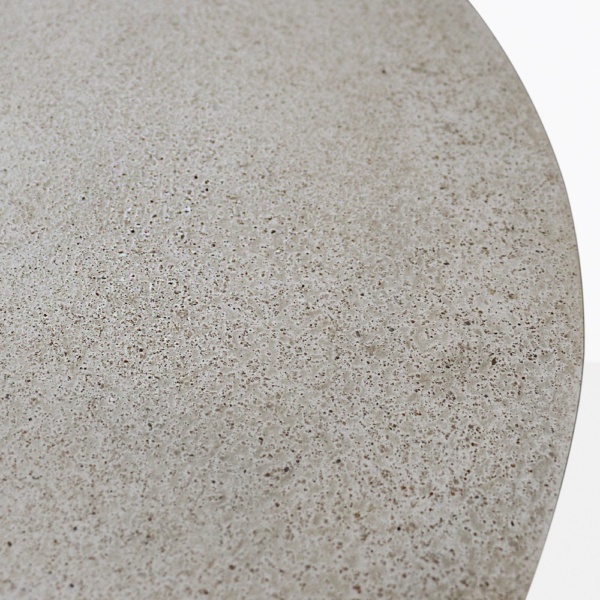 The Orgain Bistro Dining Table is made from a stunning mix of concrete composite, which alongside looking amazing, is a robust, long lasting product, ideal for use outdoors, as well as indoors! Order your Orgain Bistro Outdoor Dining Table now and enjoy the fresh taste of style in your home!